I am using deluge as my bittorrent client in Ubuntu 14.04. I want to open a port for speeding up the downloading. but still testing for active port gives a negative result. 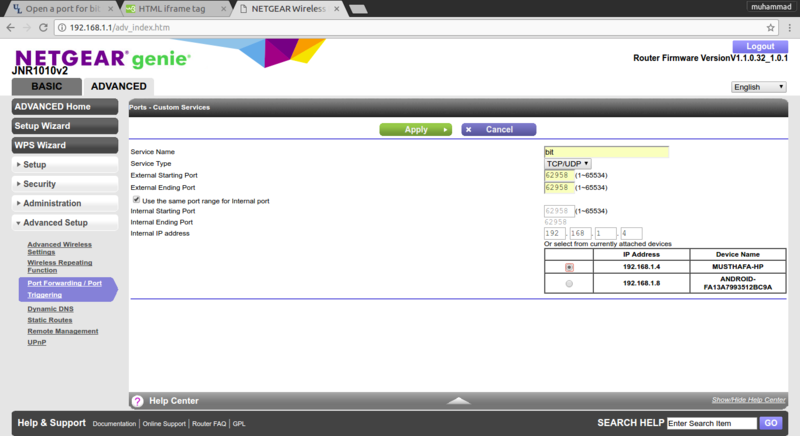 What is the correct way of port forwarding??? Browse other questions tagged ubuntu port-forwarding bittorrent or ask your own question. Does BitTorrent work in the background after quitting qBitTorrent? 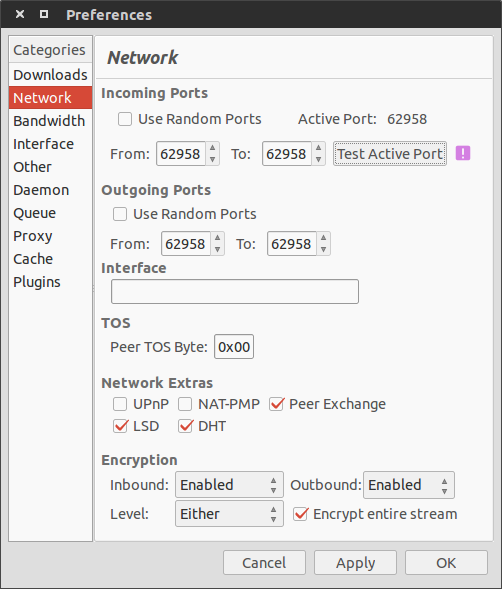 How to create a rule on IPCop firewall for bittorrent trafic to work properly? How can I reach an open & listening port on Linux?